Balvenie Doublewood has been matured primarily in ex-Bourbon barrels before a finishing period in Sherry casks. The overall impression is one of silky smoothness with some gentle spice and dried fruit flavours coming from the Sherry finishing. Not at all a blockbusting sherry monster, this is very subtle and easy going. Types of Barrel used for Aging Initially matured in traditional whisky casks before a finishing period in first fill sherry casks. Aged in three types of barrel to give a well-rounded and full flavoured whisky. First-fill and refil..
A great new addition to the Balvenie portfolio. 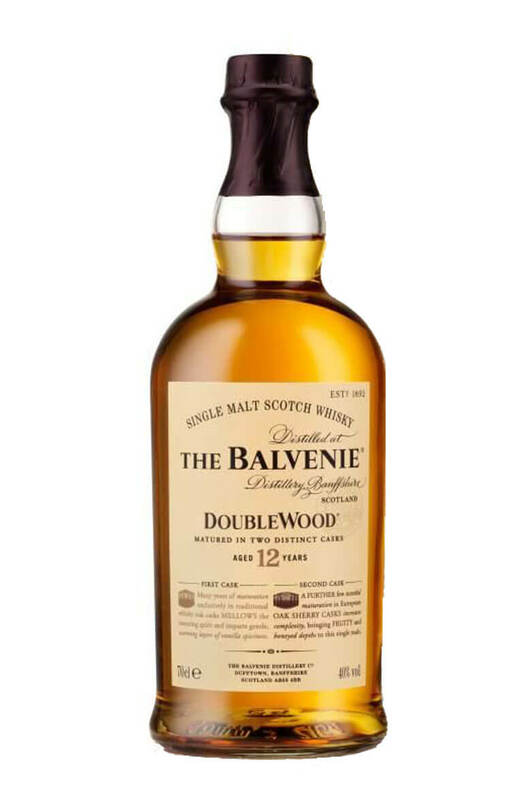 These releases are a series of single cask whiskies,..
A wonderful whisky which is a personal favourite, think toffee popcorn, stewed apples, brown sugar, ..
A superbly crafted single malt that is the next level up from the equally impressive Balvenie 12 Yea..